The Chinese Grand Prix is one of Lewis Hamilton‘s favourite events so there is no point in looking elsewhere for the winner of the fourth race of the Formula One season given the supremacy of his car in the first three grands prix. Hamilton and his Mercedes teammate, Nico Rosberg, have had it all their own way in Australia, Malaysia and Bahrain and there is no reason to think that the Silver Arrows, with Hamilton as their spearhead, will not dominate in China. The Shanghai International Circuit has been the home of the Chinese Grand Prix since its first appearance on the Formula One calendar in 2004 and Hamilton has taken part in each of the last seven editions, performing well in all bar one. Hamilton marked his Chinese Grand Prix debut in 2007 with a pole position-securing drive that saw him leapfrog the man who had dominated the first two qualifying sessions, Kimi Raikkonen. Unfortunately, Hamilton paid the price for his team’s decision not to change his wearing tyres, beaching his car in the gravel on the last corner before pit lane. The 2008 Chinese Grand Prix was kinder to Hamilton, though. He qualified fastest for the race and he led from start to finish, taking the chequered flag more than 14 seconds in front of Felipe Massa. The 2009 Chinese Grand Prix was a disappointment for Hamilton, who finished sixth, but since then he has been on the podium four times out of four and he took out the 2011 edition by more than five seconds from Sebastian Vettel. Two firsts, one second and two thirds, plus three poles, is Hamilton’s Chinese Grand Prix record, one that no-one else on the Formula One grid can beat. If one thinks that Mercedes is streets ahead of the Formula One pack then betting on the Chinese Grand Prix winner boils down to a choice between Hamilton and Rosberg. So one should check out Rosberg’s Chinese Grand Prix statistics. Rosberg has competed in each of the last eight editions and, since joining Mercedes in 2010, he has acquitted himself well, finishing third in 2010, fifth in 2011 and first in 2012. Last year, Rosberg qualified fourth fastest for the race but his car’s suspension broke on the 21st of the 56 laps. If Hamilton’s Chinese Grand Prix numbers were not so good one would be inclined to back Rosberg at odds of 3.00 with several bookmakers, including Coral and Sportingbet. 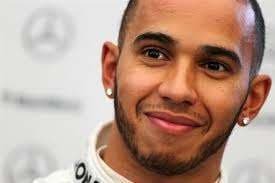 But Hamilton’s Chinese Grand Prix numbers are terrific and, therefore, he is worthy of support at odds of 1.85 with 888sport and Unibet. But do not take much shorter odds. one should look to support Jenson Button in top-six markets at 2.00 with Coral. Mercedes is the power behind Button’s McLaren and the British driver has an excellent record in the Chinese Grand Prix, including a victory in 2010. Button has participated in every edition of the Chinese Grand Prix, with his form figures in chronological order from the most recent reading: fifth, second, fourth, first, third, 16th, fifth, fourth, eighth and second. Button has made a decent start to the Formula One season. Button was third in the Australian Grand Prix following the disqualification of Red Bull driver Daniel Ricciardo and he was sixth in the Malaysian Grand Prix. Button experienced clutch problems late in the Bahrain Grand Prix, which goes a long way to explain his official classification of 17th.